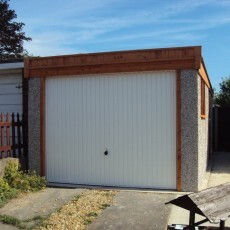 Adding another dimension to the front elevation, the mansard style roof adds kerb appeal, making a concrete garage more attractive. 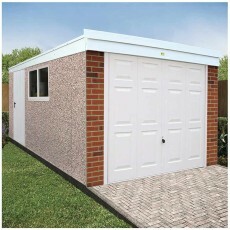 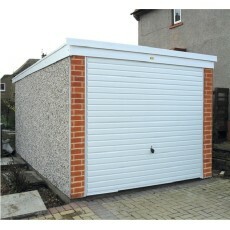 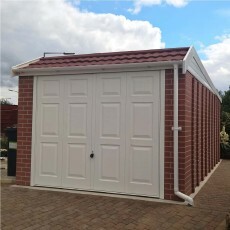 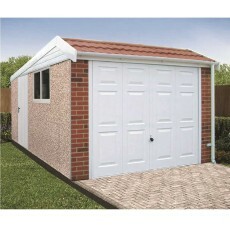 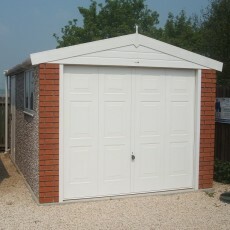 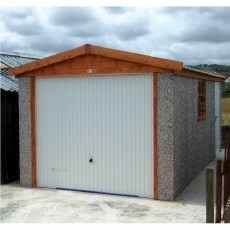 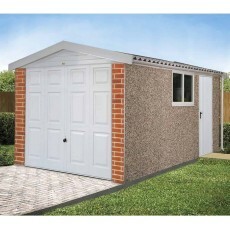 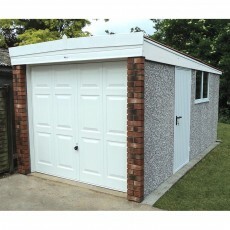 An Apex garage with a 12.5 degree roof pitch, but sold as a package with many upgrades as standard for a full maintenance free building. 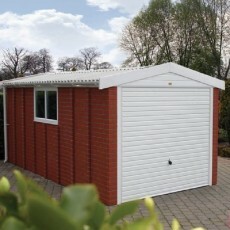 The same building as the standard Pent Mansard but sold as a package with many maintenance free options cheaper than if added individually.